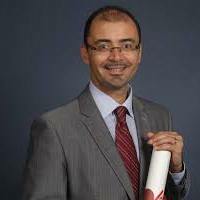 Nawar Bakerly has been a Consultant in Integrated Respiratory Medicine in Salford, UK, since 2007. His specialist interests include asthma, COPD and bronchiectasis as well as health informatics, data science and innovations in healthcare delivery. Over the last 11 years, Dr Bakerly was involved in a major re-design of COPD services across Salford in Greater Manchester, UK, leading up to the development of Salford's Integrated COPD Team. As part of this development, Dr Bakerly pioneered new ideas in service improvement and service delivery, including the COPD multi-disciplinary team and community-based specialist COPD clinics. He also used and evaluated innovative techniques in the delivery of care, including the use of the virtual ward concept, using predictions in weather swings to prevent COPD admissions, using smartphone applications in assisting the delivery of care (COPD and asthma) and the use of telemonitoring in the context of early supported discharge for COPD. More recently, he was involved in the development of the British Thoracic Society (BTS)’s standards on Integrated Respiratory Care, and the delivery of the first BTS course on Integrated Care. Dr Bakerly is the Principal Investigator and co-investigator for many research projects, including world-wide pioneering research, being a co-investigator for the Salford Lung Study in COPD and asthma. He is currently an Honorary Senior Lecturer at The School of Medicine, Manchester University; and the Chief Clinical Information Officer for Salford Health Care, Manchester, UK. Dr Bakerly is also a peer reviewer for a number of national and international respiratory journals.